i did my best. i tried my hardest. here they are! the good the bad and the ugly. since we’re all in this together i’ll assume you know what i mean when i say “ugly” and you won’t rush to comfort me or give me a pep talk. totally unneccessary. i love ’em all! and in 20 or 30 years when i page through this journal i will know that when i went to spoleto italy in the spring of 2013 i got a real good look at everything around me. i’m starting at the beginning and just sharing the entire journal. your seat can be used as a flotation device. so so inspiring and beautiful. Thank you for sharing! I love your drawings – they are so alive and free. You get better all the time. I am probably repeating previous comments, but I haven’t read them. And, I couldn’t “not’ comment. Bravo Mary Ann! This is hands down my favorite journal so far!!!! Your work is fresh and immediate!! You have managed to capture a moment in time with each watercolor sketch. Each time you look at these you will be transported back to that particular moment in time. It is an amazing process, sketching and painting in the moment and you have captured the essence of place and time beautifully. Thank you for sharing the adventure! Look forward to each post! These are delicious! I bet they bring the moment right back to you when you see them. I so enjoy your adventurous spirit. Go, girl, go! Lovely renderings of the countryside, life in the house, and the food. I am emboldened to try sketching (at age 60!) by your efforts. I followed your progress and amazingly, your beginning hands sketches look a lot like mine (insert LOL here)….but now I have seen your progress and feel certain I can actually do this. You will always be a wonderful teacher, MAM! I like the narrative you add to your sketches. I felt like a mouse in the wall watching everything. Keep sharing and leading the way for all us MAM’ers! Exactly! Each one is beautiful because you we’re alive and in the moment completely when you drew it. If there is a magic time-capsule for revisiting the past, it is the ability to sketch it when it was your present. 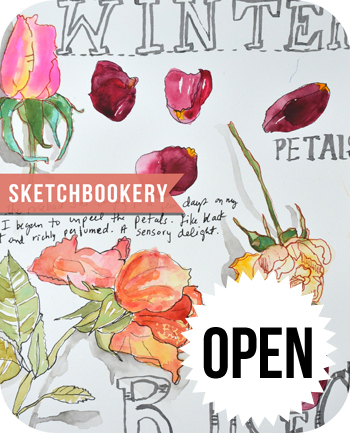 I think you are getting a whole bunch more folks inspired to try sketching. Bravissimo! I adore these and have enjoyed seeing the progress you’ve made. I think they are beautiful, but whether they are beautiful, ugly or whatever is not important. What is important is that when YOU look at them, it will bring the moment they were created back to you vividly. Youre the best! You will know the exact moment you were there when you look at there… So inspiring! I think that some of the qualities that make your pages compelling are their consistency and their energy, as well as the evident delight you have in creating them. Whatever things that may cause you to deem “ugly” are only temporary. Vibrant in the true sense – full of LIFE! Love it! You’ve given me the inspiration to try sketch journaling. Mary Ann your journals are amazing, your drawings are fantastic and very you and personal, you should feel so very very proud of yourself for finding that courage, thank-you so much for sharing them sweetie – more more more please. MaryAnn, we just returned from our 10 expedition to Italy, 3 nights each in Venice/Florence/Roma. 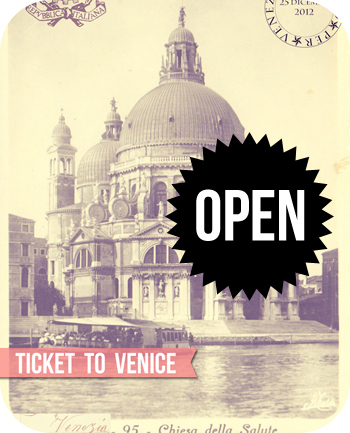 I have you to thank deeply for encouraging all your readers to explore Venice. My 25 yr son & husband went with me….therefore we walked, 80 miles in 9 days! After this wonderful trip, I still love the countryside best….last summer I spent 8 days in Fabriana, LeMarche Region, a wee bit north of Spoleto. Girl! You never cease to amaze!! Ah-mazing; well done! Thanks for feeling confident enough to share these pages. So inspiring! What a wonderful keepsake! You will treasure this forever! it is amazing to have seen the photos and now your interpretation of them! brilliant to say the least. you capture with ink and watercolor what the camera lens cannot. thanks for sharing. I love it all, too, Mary Ann. Your meals are especially well-drawn and I like the borders on a lot of your sketches. Your creativity knows no bounds. Thanks for sharing with us and can’t wait to see more! I love them all! Bob and I are going on a big adventure for our 25th this summer. We are going a a safari to Kenya! what art supplies would you suggest I take to do sketches of all the wonderful wildlife.I have to be fairly mobile .